The objective is to always produce a well lit, flattering portrait of the subject where the subject is separated from the background and the lighting doesn’t take away from the person being photographed. Thursday, January 24, 2008 One of the things that happens often, is friends and colleagues ask what equipment we use, how we pack it, travel with it, and so forth. Further, with interns coming and going (40+, to date), it was a frequent occurrence that I was training and explaining to them what we use, and how we use it. So, during what was our slow period around the holidays, we ramped up and produced a series of videos. All together, they total 1 hour, 49 minutes, and took a month to produce, from production meetings to finishing editing - much more than I had expected to commit, but none-the-less it was a worthwhile endeavor. I've been collecting video for some time, from shoots and setup images, and so I've combined related video from those to an explanation of each case. I was inspired by Chase Jarvis' similar series, and am pleased with my results. Below is the introduction, and I have transcribed every segment, and, there are links to every piece of equipment we could find on either Adorama, Amazon, or, B&H, in case you're looking for that tool yourself. Here is the video introduction to all 32 segments, giving you an overview of the work we do using the equipment. Let me know what you think! 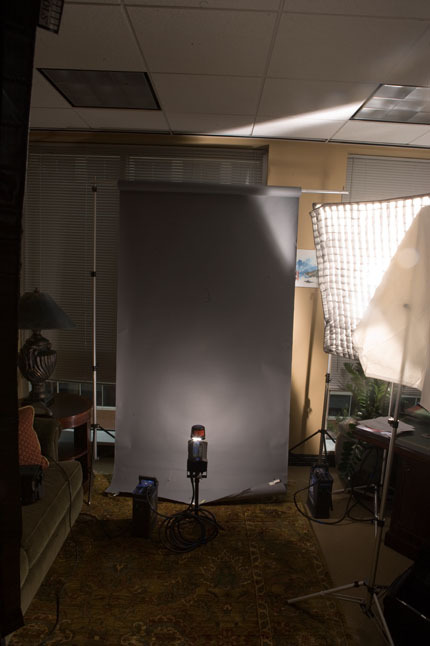 Here's a video segment on the Light Modifier Kit that we use. A transcription of the video is available after the jump. Here's a video segment on the Stand Bag kit that we use. A transcription of the video is available after the jump. 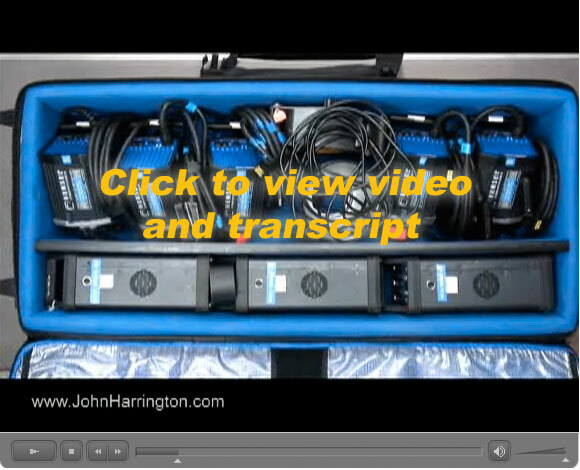 Here's a video segment on the Hensel Vela Main Kit that we use. A transcription of the video is available after the jump.